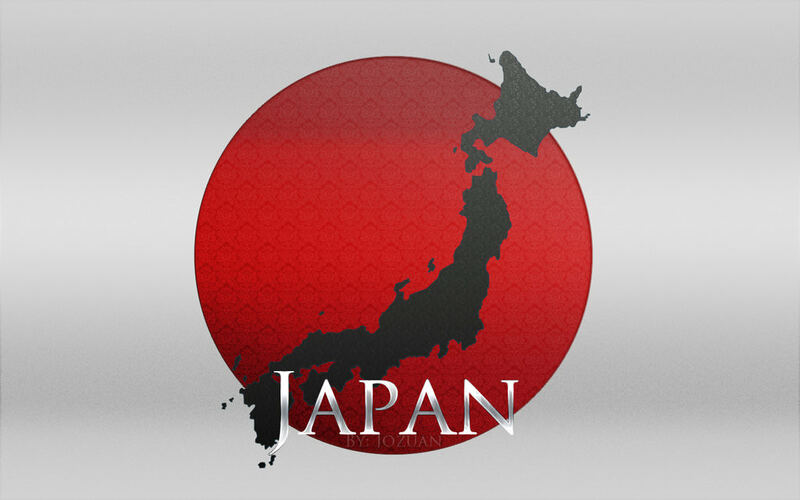 General Information that you will need and want to know before visiting Japan. We will give you all the tips and tricks you need to know to make the most out of your trip to Japan. If you cone across someone wearing a surgical mask it does not mean that they have some kind of infectious disease. There are many different possibilities as to why they are wearing a mask. 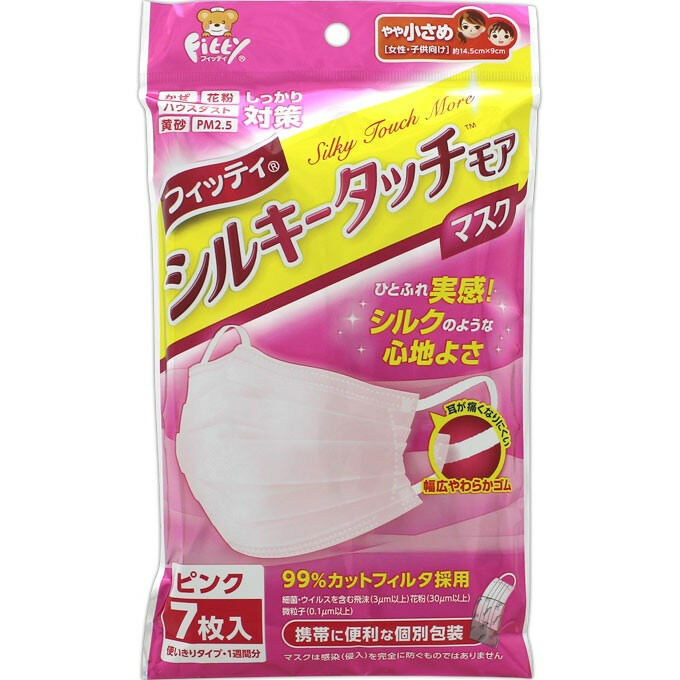 Many people wear masks in Japan when they are sick so that they do not infect other people. And it is often frowned upon if you have a cold and do not have a mask on as people do not want to catch your cold. They could also be wearing a mask as a way of not catching a cold or they could be wearing it simply because their face is cold. Or many women will wear a mask as a way to cover part of their face when they do not have make-up on. Yes, there are still Japanese style squatting style toilets in Japan. 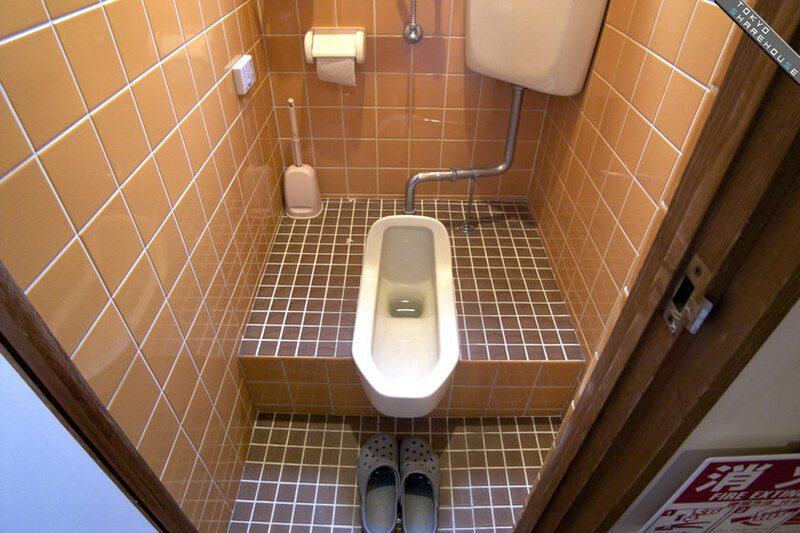 Although, most places now have Western style toilets you will still occasionally come across the Japanese style toilet. Of course, before traveling to a company for the first time it’s important to know whether it is safe to travel in that country. Well, Japan is definitely one of the safest countries in the world. Even if you are a woman traveling alone in Japan it is absolutely safe. However, it is important to still keep an eye on your belongings and to avoid provoking people. Often times, if you lose your belongings their is a pretty good chance that you can get it back but say if you were to lose your phone at a club or a bar then it’s highly unlikely that you will ever get it back. 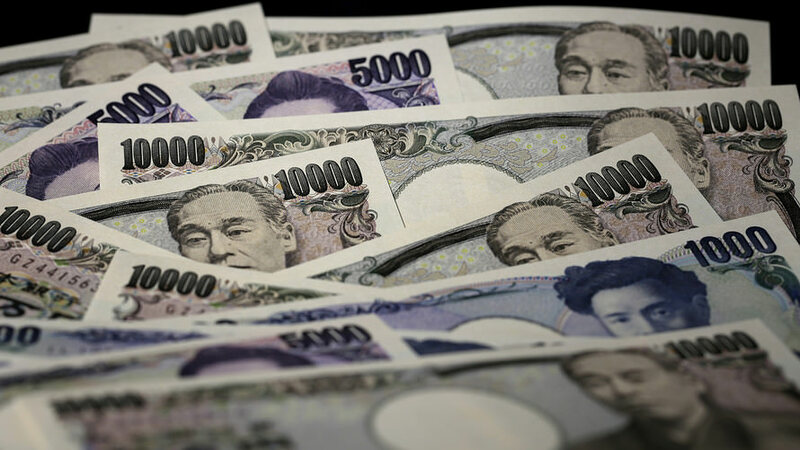 There are many restaurants and shops in Japan that will only accept cash so remember to have cash in your wallet. If you do not have cash on hand you can go to a convenience store to withdraw money from an ATM. Not all convenience stores have ATM’s but most do. 5. 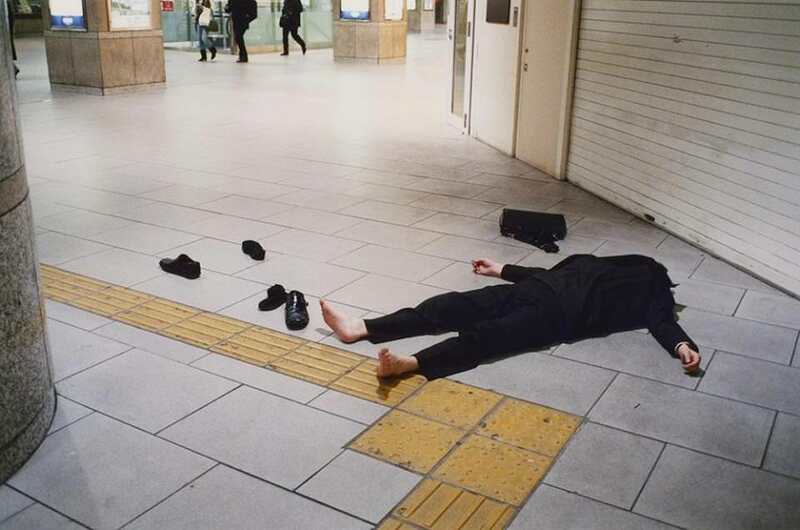 You will see MANY drunk businessmen on the train or lying down on the floor. It is highly likely that you will get to see this especially if you are on the train early in the morning on a Saturday or Sunday. You will see both men and women who have had one too many drinks passed out on the floor of the train or on the floor outside. 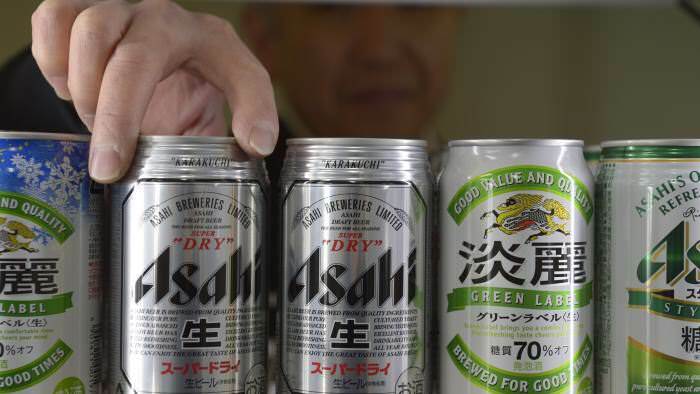 In Japan, tattoos are often affiliated with the Yakuza. Therefore, it is highly frowned upon. 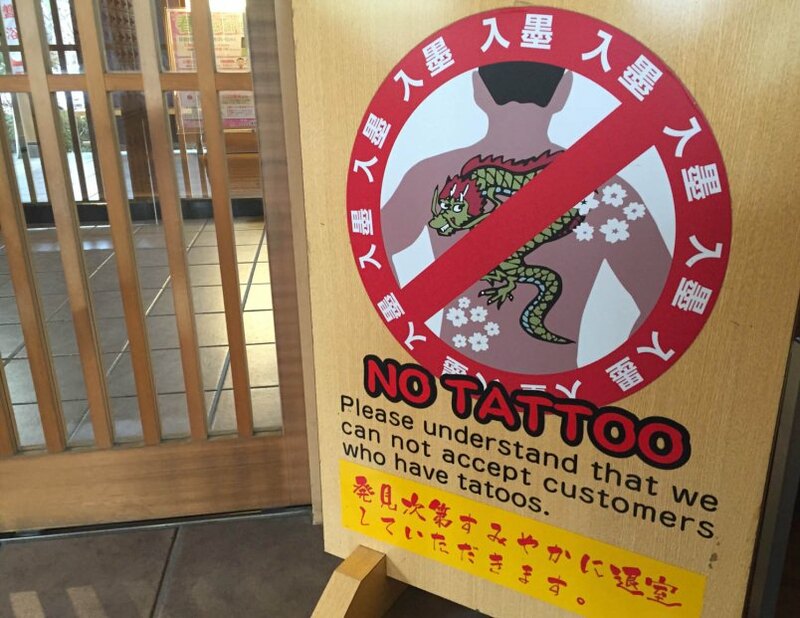 Although it has become more normal to see people with a tattoo who are not affiliated with the Yakuza there are still many older people in Japan who are very traditional in the way they think and so they are very against tattoos. If you are in a public place with your tattoos showing it is possible that you may be asked to cover them. Most public baths, pools and even restaurants will turn you away if your tattoos are showing so make sure to keep that in mind. 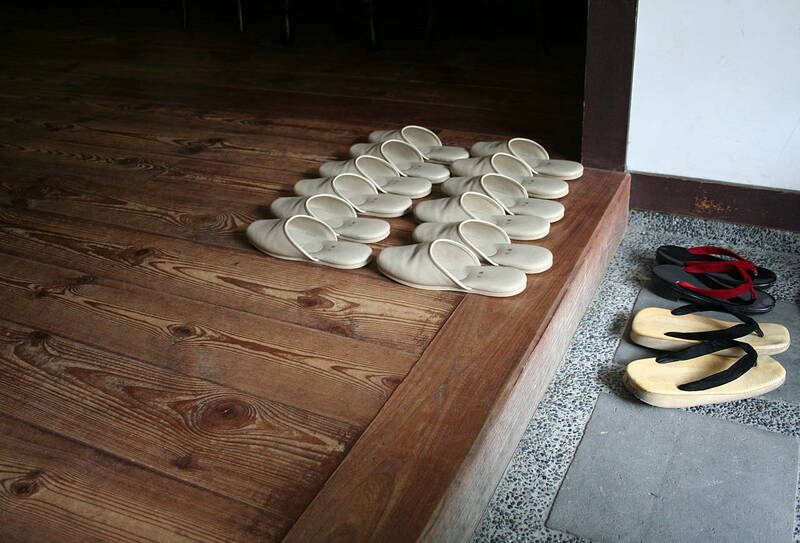 Remember that it is considered rude to enter someone’s home with your shoes on. Even in certain dressing rooms in clothing stores you will be asked to take your shoes off before entering. There are also certain restaurants where you’ll have to take your shoes off and put it in a cubby before being seated at your table. When eating at a restaurant make sure you do not tip. 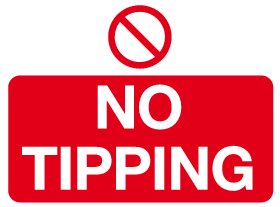 I know that you’ll want to tip the waiter or waitress as many restaurants in Japan have very good service, however, they are not allowed to accept any tips. This goes for hotel staff and any other service staff in Japan. 9. Not all restaurants have an English menu. 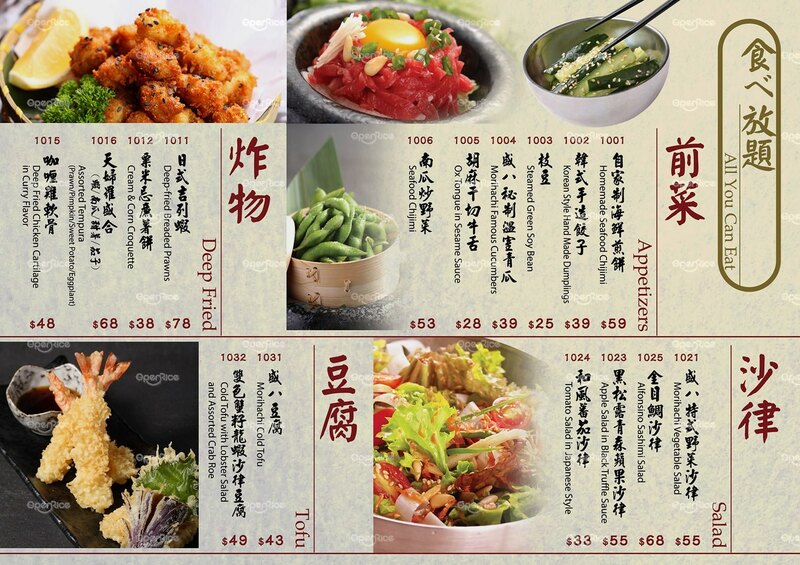 Although many restaurants now have an English menu or someone who can somewhat speak English but many still do not have an English menu. But there are many restaurants that have pictures on their menu or have a display of their menu outside of their restaurant. It is extremely frowned upon to eat on the train. Everyone will stare at you so just don’t do it. 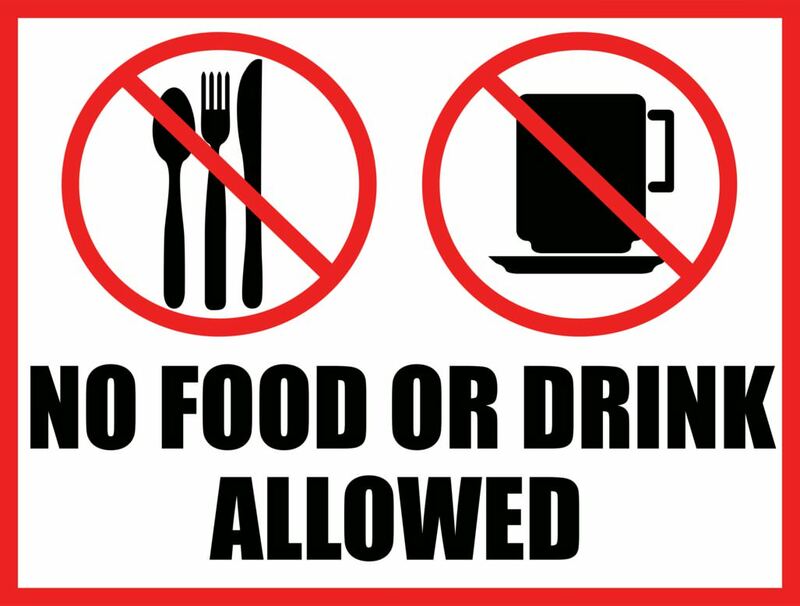 You won’t see any signs saying ‘No eating or drinking’ but it is just one of those unspoken rules. You can walk around with a beer in your hand and not get arrested! It is normal to see people with a drink in their hand while on their home from work or just walking around with a friend while having a drink. 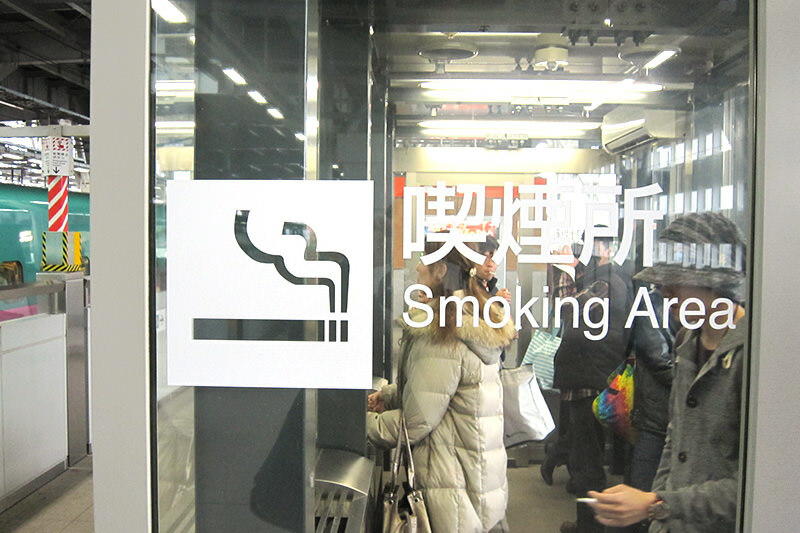 Many restaurants and cafes will allow you to smoke inside. However, when you are outside make sure that you are at one of the designated smoking areas as you are not allowed to smoke in non-designated areas. It is especially not ok to walk while smoking. 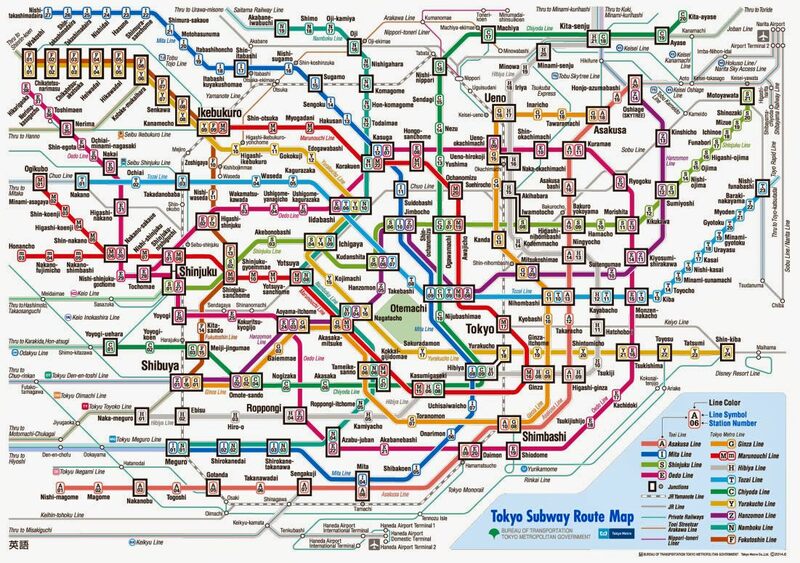 Yes, it definitely looks complicated at first but you will soon realize how convenient it really is. All of the touristy spots are often right by a train station so although you may have to transfer trains a few times it will most likely take you right where you need to be. Also, there are many many different exits at the station so it is best to ask someone who works at the train station for which exit is closest to your destination. There are also many signs in English that will say which exit leads to which location. It will be extremely hard to find a trash can as there are hardly any. This is because many years ago there was a problem where a bomb was placed in the trash can which had exploded and killed many people. Since then they have gotten rid of most garbage cans. 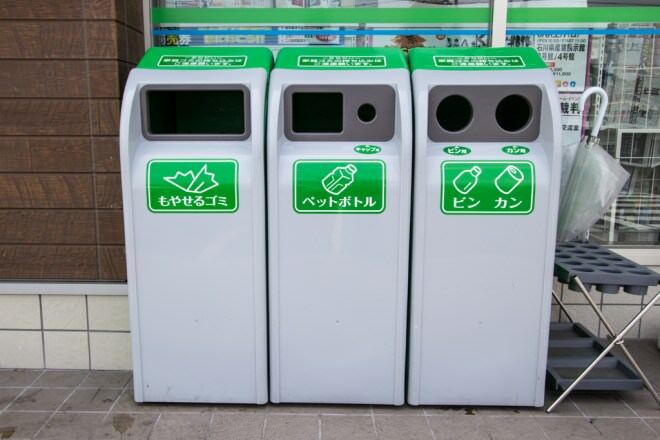 So you will most likely only be able to throw out your garbage at a convenience store or bathroom.